You are walking in a shopping area. You see some groceries you like, and try to reach out for them. Suddenly, you feel your leg give way beneath you. The next thing you know, you hit the floor hard. If there is a crowd around, the first thing you might feel is shame, then shock, and finally pain. In a lot of instances, slip and fall accidents might not cause serious injury. You might just feel sight pain for some minutes and that is all there is to it. 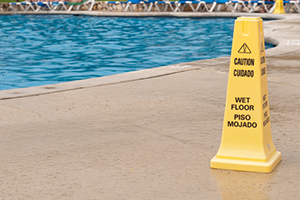 In some other instances, a slip and fall accident can result in serious injury. You could suffer broken bones, an injured vertebra or something worse. If you were seriously injured in a slip and fall anywhere in the Florida Keys, you will likely want to hire the best Florida Keys slip and fall lawyer to assist you in your claim for compensation, damages and justice. 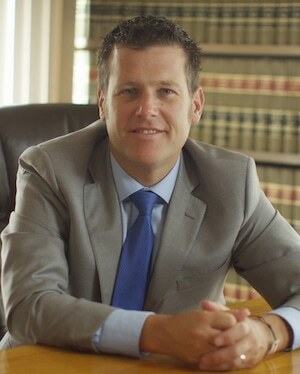 At the Wolfson Law Firm, our Florida Keys slip and fall lawyers are ready to help. We have helped injured victims of negligence in South Florida and the Florida Keys since 1963 and we know what to do. Call us right now for your free consultation at (305) 285-1115. In the aftermath of a slip and fall accident, your default reaction is to try soothing the pain you feel. If the injury doesn’t immediately knock you out, you should also try to gather evidence of what caused the accident. If a liquid substance carelessly left on the floor caused it, take pictures. You should also get the contact details of the witnesses to the incident. You should report the situation to management and file an accident report. You should be careful at this stage not to give the management evidence that could be used against you. Always try to look at the completed accident report to be sure that you filled in the relevant details. If possible, you should immediately try to get the CCTV recording of the incident. However, this might be more difficult as the management may try to cover its tracks by getting rid of the video. As soon as practicable, you should contact the best Florida Keys accident attorney to help you navigate the complex process of obtaining full, fair and complete compensation for your harms, losses, injuries and damages. That the owner of the property created the condition that caused the fall. This can be by failing to clear the slippery substance that caused the floor, or by failing to adhere to safety guidelines. That the owner knew the condition existed and refused or failed to correct it. This means that even if the property owner wasn’t responsible for placing the slippery substance on the floor, he would be liable if he knew about it or is reasonably expected to know. The condition was there for such a length of time that the owner of the property ought to have discovered and corrected it before the slip and fall accident. Your Florida Keys slip and fall attorney should place all potential targets on notice and quickly gather evidence to support your position and ultimately your claim. If you do not retain an attorney, it is possible for you to start a slip and fall accident claim to get compensation for the injuries the slip and fall incident caused you. You might get compensation for medical bills, lost wages, loss of enjoyment, and so on. But make no mistake – insurance companies and property owners don’t pay for anything needlessly. In general, defendants in slip and fall cases routinely deny, delay and don’t pay if possible. You should have a team of experienced and aggressive professionals - starting with your Florida Keys slip and fall lawyer – to make your claim for compensation. At the Wolfson Law Firm, our Florida Keys accident attorneys proudly serve all the communities and neighbourhoods of the Florida Keys including Key Colony Beach, Tavernier, Key West, Islamorada, Bahia Honda, Layton, Big Coppitt Key, Upper Matecumbe Key, Key Largo, Duck Key, Upper Keys, Sugarloaf Key, Stock Island, North Key Largo, Lower Keys, Flamingo, Middle Keys, Homestead and Florida City. Our bilingual Florida Keys personal injury team is standing by to take your calls. Call us now at (305) 285-1115 for your free consultation.